The Himalayan Inn promises its guests a relaxing stay with modern amenities. The lobby is chic and elegant, and exudes an earthy and natural feel of the mountains. 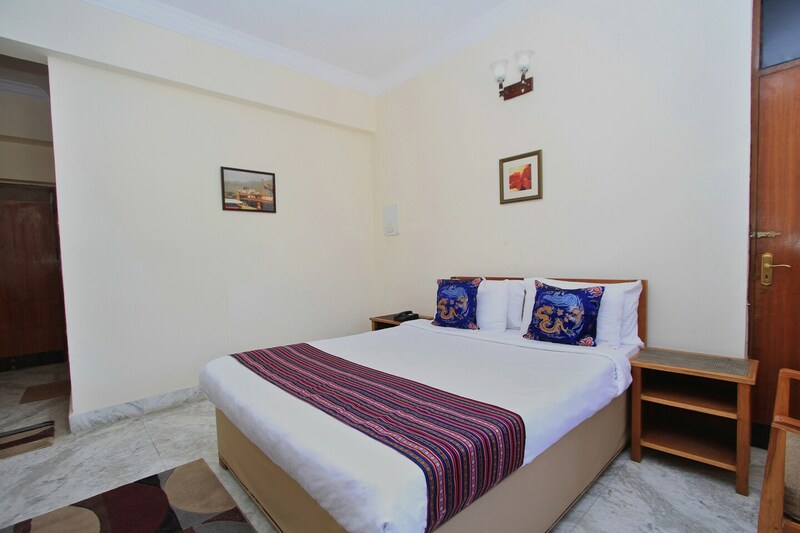 The rooms are bright and well-ventilated and are equipped with modern amenities for a relaxing and pleasant stay. The paintings add a charm to overall vibrancy of the room. The in-house restaurant has a uniquely designed roof with lamps hanging from it and is a nice place to relax and enjoy tasty meals. Power backup and CCTV cameras ensure the security of the guests. Free Wi-Fi service and card payment options are also available at the property.